Changing the world is an 'inside job' and it starts as soon as you wake up. Give yourself a head start and Start Your Day Right! Feel Calm, Confident & Energised: even before you get out of bed in the morning. Just listen to the 10 minute meditation and you're set! Line Up With Your Goals: it's about more than mindset. Learn how to use the power of Intention to create breakthroughs and connect with your intuition and inspired actions. Easily Prime Your Day: near-zero effort techniques get in flow, to attract synchronicities & the support you need, throughout your day. BONUS: Get A Great Night's Sleep: Use the PDF workbook to switch off at the end of the day and feel calm, happy and relaxed before you go to sleep. 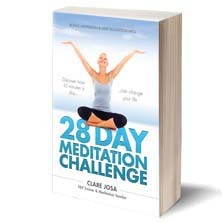 This ten minute guided meditation MP3, created for you by Clare Josa - a professional Meditation Teacher and Entrepreneur of 15 years - guides you through all you need to know to Start Your Day Right each morning. Sit back and enjoy! Craving a way to calm your Monkey Mind after a super-busy and stressful day? 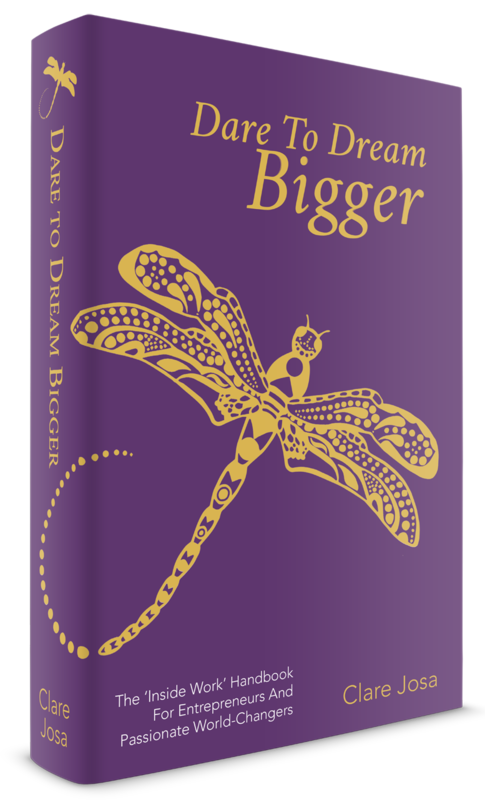 Your bonus workbook is designed to help you to let go, relax and fall asleep with a happy heart. Once you're lined up with your 'Self' each morning, you'll find your mind is calmer and it's much easier to sense the quiet messages from your intuition, guiding your inspired actions. Doing this meditation daily is your fast-track. What Might It Be Worth To You To Line Up With Your Goals, To Connect With Your Intuition, And To Flow Through Your Day? First thing in the morning is the most potent part of your day, when it comes to setting intentions and 'choosing' the core theme for how you want to experience your day. Most of us leave this to chance, with the proverbial stubbed-toe threatening to derail the rest of our waking hours. As little as ten minutes of this unique guided meditation can transform your day, helping you to jump out of bed feeling confident, energised, aligned and raring to go. AND, over time, it can help you to connect with your inner wisdom, synchronicities and to feel excited about taking the inspired actions that will create the breakthroughs you have been dreaming of. And there's even a bonus PDF workbook to help you let go of stress and worry at the end of a busy day, to help you to get a better night's sleep. When you think what all of that might be worth to you and your business, for even just one day, then the Start Your Day Right! toolkit ought to be a hefty investment. But Clare wants to make this a no-brainer for you, so she can help you for the next stage of your journey and you can experience what it might be like to work with her more deeply. Your no-brainer price for this toolkit is just £7. That's the price of a glass of wine in a pub, or a posh latte and a cake. Or you could spend that £7 on a toolkit that could change your life - and your business - forever. Your call. 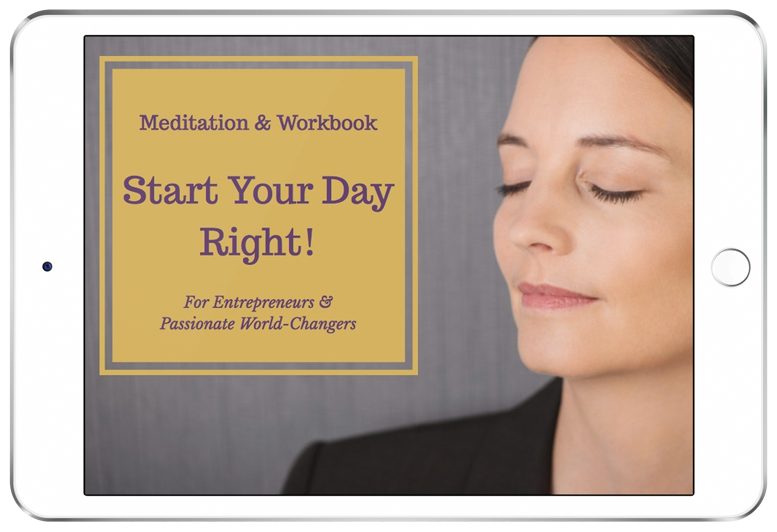 Download your meditation MP3 and PDF workbook in the next few minutes. I Want To Start My Day Right! Because I want you to make a commitment to actually using this - and that requires an energy exchange. I don't want you to sign up for this as an opt-in 'bribe' - that isn't how I want to 'persuade' you to fall in love with this process! I want your heart to be giving you a 'HELL YES!' about discovering how to Start Your Day Right. I've made it a no-brainer donation, so you can try it on for size, plus you get my 'love it!' guarantee. And it might even change your life forever. That's not bad for a fiver, is it? Do I Have To Listen To Tinkly Music Or 'Whale Song' In The Background? 1. I don't want to distract you with tinkly music - I want you to be able to connect with your Inner Stillpoint. 2. Some people love new-age music, some people hate it with a blood-pressure-raising passion! I want you to be able to benefit from this meditation and guided visualisation process, whichever of those two camps you're in. If you genuinely find it hard to listen to silence (try it, you might love it! ), then by all means play your favourite relaxing, word-free music in the background each morning, as you listen to your meditation. Do I Need To Be Super-Techy? No! On the 'thank you' page you'll get links to download the MP3 and the PDF workbook. It's all as easy as clicking a button, or right clicking and choosing 'save as' or 'download'. If you need tech support on how to get the MP3 onto your phone / MP3 player / tablet then a quick Google search will give you the answers you need. I have made it super-easy for you. All you need to do is to listen to the meditation MP3 when you first wake up in the morning - or as soon as you remember to do it, during your day. That's it. And the optional workbook is great for letting go of your day and celebrating your successes, so you can get a great night's sleep. What Is Clare's Voice Like? Firstly, I'm a Brit, with a Southern UK accent - kinda Queen's English. If that's a turn-off for you, I even give you the transcript of the meditation, so you can record your own version. Just leave pauses where I do and it will work fine for you. One of the things my students and clients say they love most about working with me is how calming and confident my voice is on audio, so I hope you'll love it, too. I want you to LOVE your Start Your Day Right! Toolkit. If you don't, that's cool. I won't be offended. Just let a member of my team know (reply to your welcome email) within 28 days and we'll give you a full refund. All that I ask is that you give it a go - listen to the meditation each morning for a week or so. Play with the questions in the workbook. This isn't a 'brown banana' guarantee - after all, you wouldn't take a banana back to the supermarket, just because you forgot to eat it and it went brown, would you? The same goes for this guarantee. Dive in and make the most of your toolkit and, if your heart tells you it isn't working for you, I'll give you your investment back. Can't make it much fairer than that, can I? 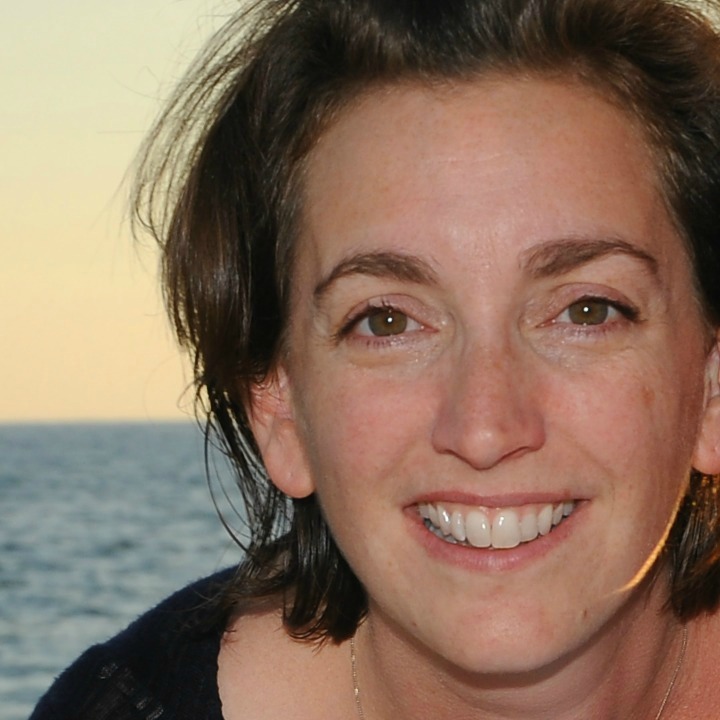 Clare Josa has been teaching meditation since 2008 and is formally qualified to teach meditation and mindfulness from beginner to advanced level. As the Author of the 28 Day Meditation Challengeand 52 Mindful Moments, the leader of workshops and the creator of a range of online 'how to meditate' courses, she not only helps you to learn how to meditate, but she inspires and empowers you to create the habit, too. That's the hardest part. And it's the bit people normally miss out. Through her work as an NLP Trainer ('user manual' for your brain), you get to clear out the hidden blocks, excuses and limiting beliefs that derail most people, when they try to learn to meditate. As an Author, Mentor, Entrepreneur and Busy Mum, she specialises in making it easy for you to create a meditation habit that you love, no matter how hectic your life is. With her Masters Degree in Mechanical Engineering, Clare's work is grounded and practical, whilst still containing the inspirational 'engineer-approved woo-woo', for which she is famous. It's the missing link that means this stuff actually works. Over the past 9 years, Clare has helped over 2,000 people learn how to meditate, and to discover for themselves the benefits that as little as ten minutes a day can bring to your life. 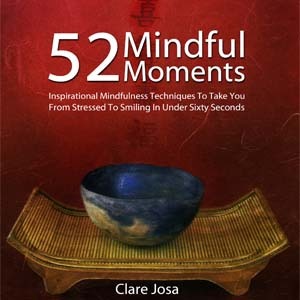 Her podcast, 52 Mindful Moments, is regularly featured by iTunes as one of its top spirituality podcasts, worldwide.